Sounds like the name of a mommy blog, right? 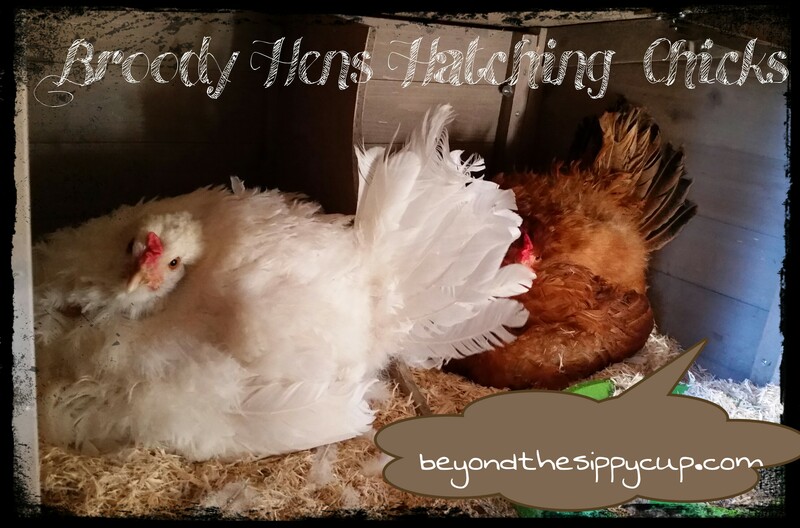 I suppose my hens wouldn’t mind a little publicity. A quick update on the flock: I only have three hens now. Just before winter we were still letting them free range while we were at work all day, but we lost our big red (also the most social, of course). Since then, it’s gotten cold and we have only let them out of the coop on warm days with the dog out. After four months of overflowing egg storage in my fridge, I’m now down to one egg a day because apparently my gals wanna be moms, too. About three weeks ago, one of my hens wasn’t coming out with the other two when I opened the doors. After a week of this, I Googled “hen won’t get off nesting box” and discovered this means she is “broody”. I also discovered I am lucky she has this maternal instinct as it’s a trait bred out of chickens because they don’t lay while they’re pining for fertilized eggs (they do eat about 90% less though, too). Unfortunately, with no rooster my hen would be sorely disappointed sitting on our eggs. Since I was planning to get some more chicks this year from the local Tractor Supply Co. , I consulted my two favorite sources for chicken expertise: BackYard Chickens and The Chicken Chick. 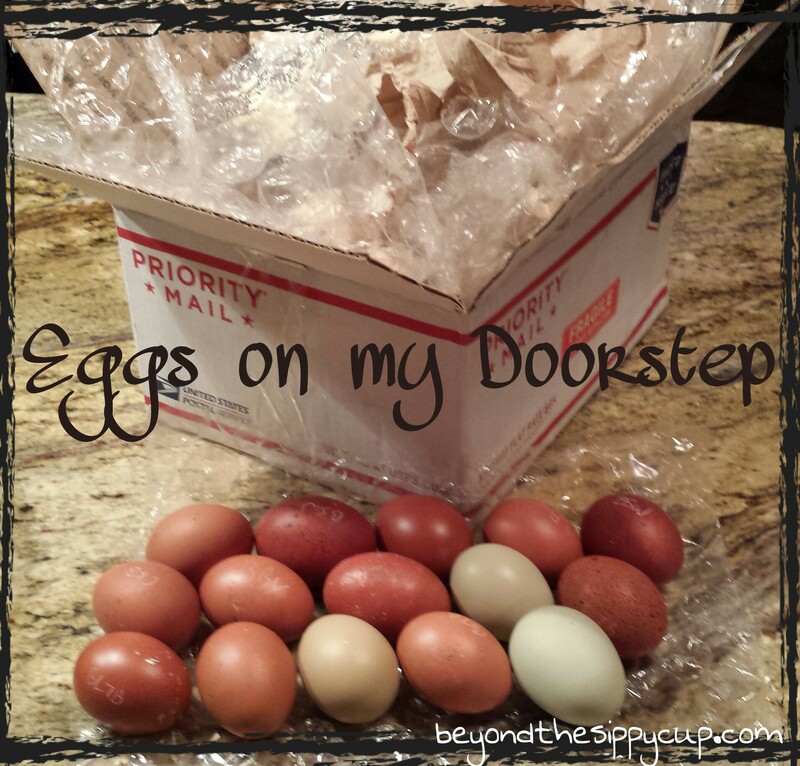 I learned I can get fertilized eggs in the mail, and apparently it’s pretty common (there’s a whole forum thread for this at BackYard Chickens). A wonderful woman sent me these beautiful fertilized eggs of various breeds from her flock. They arrived none too soon as two hens were starting to hoard the unfertilized eggs by this point (apparently broodiness is contagious) and at first were both trying to lay in the same nesting box on the same eggs (basically on top of each-other). I placed the eggs under my ladies a week from last Tuesday and there are enough that they have settled in separate nesting boxes with a clutch of 7 under one and 8 under the other. So far they have not tried to peck me when I pull them off to check for non-fertilized eggs (which the one non-maternal bird still deposits among the others once a day) and seem to be eating and drinking alright (albeit not much). Is it crazy that I am soooo excited to find out whether I have any growing chicks in these eggs? Next Thursday I get to “candle” them (hold a light source near the shell to see the outline of an embryo). I know that people reliably hatch chicks like this on an industrial scale but for some reason when miracles of life are supposed to occur in my backyard I never quite believe they will really happen until they do. For example, a part of me wondered if my hens would really lay eggs, if my garden would really bear any edible produce, or if my bulbs will really come up. It might sound like I’m cynical, but it also means I am like a kid at Christmas every time it happens. I’ll keep you posted, and look forward to your comments!